Be honest. How many times have you watched the CAPTAIN MARVEL trailer since this morning? Yeah. Me too. It is phenomenal! I love Brie Larson. I made someone watch Hoot recently because they’re excited for CAPTAIN MARVEL, and they’ve never seen her in Hoot! And Hoot is totes adorbs! Who doesn’t love burrowing owls? 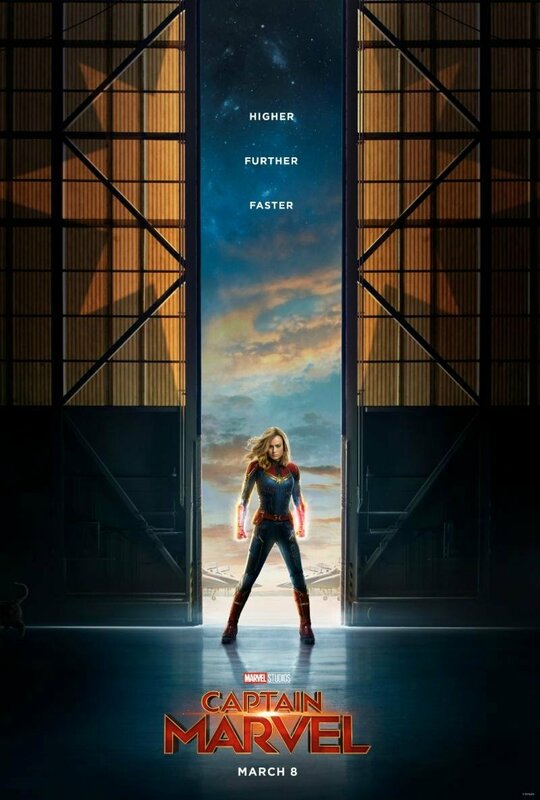 Anyway…that’s beside the point…..Here’s my CAPTAIN MARVEL trailer breakdown! The film stars Brie Larson, Samuel L. Jackson, Ben Mendelsohn, Djimon Hounsou, Lee Pace, Lashana Lynch, Gemma Chan, Rune Temte, Algenis Perez Soto, Mckenna Grace, with Annette Bening, with Clark Gregg, and Jude Law. Marvel Studios’ CAPTAIN MARVEL is produced by Kevin Feige and directed by Anna Boden and Ryan Fleck. Louis D’Esposito, Victoria Alonso, Jonathan Schwartz, Patricia Whitcher and Stan Lee are the executive producers. 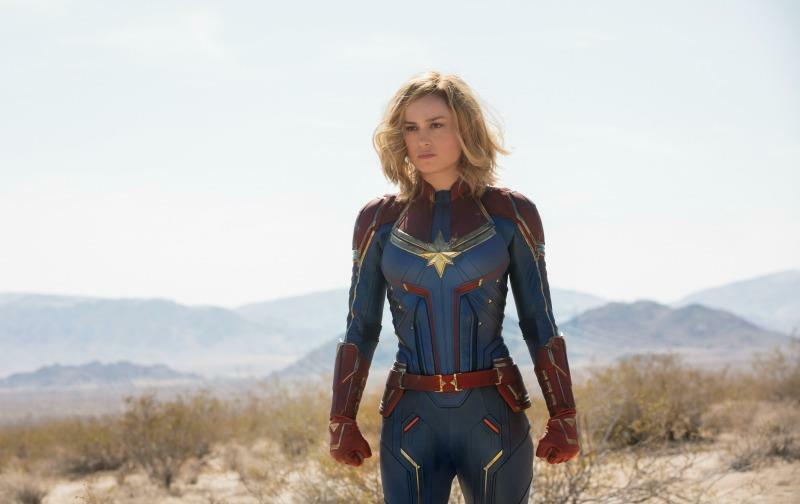 Okay, are you ready for my CAPTAIN MARVEL trailer breakdown? Let’s do this! BLOCKBUSTER!!! Yeah, sort of random, but it totally sets the 90s vibe right away. And to have her fall to earth into a Blockbuster…nailed it! For one thing, 90s; for another thing, it’s a movie store, so she’s literally crashing into the movies! Yes! And she’s in the Action section! Ha! 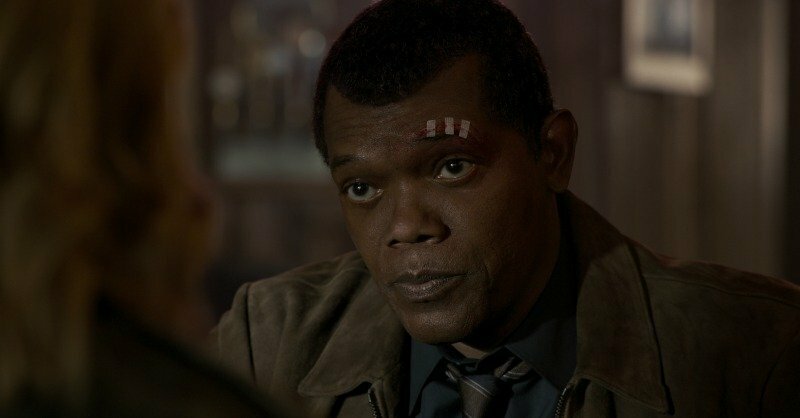 A younger Nick Fury sans eyepatch! I’m wondering who is in the “operating” room with him. Her flashbacks… Like, are they real memories or were they planted there by someone? And Jude Law…I don’t know enough about the comics to know who he is playing, but Jude Law….. The Skrulls! 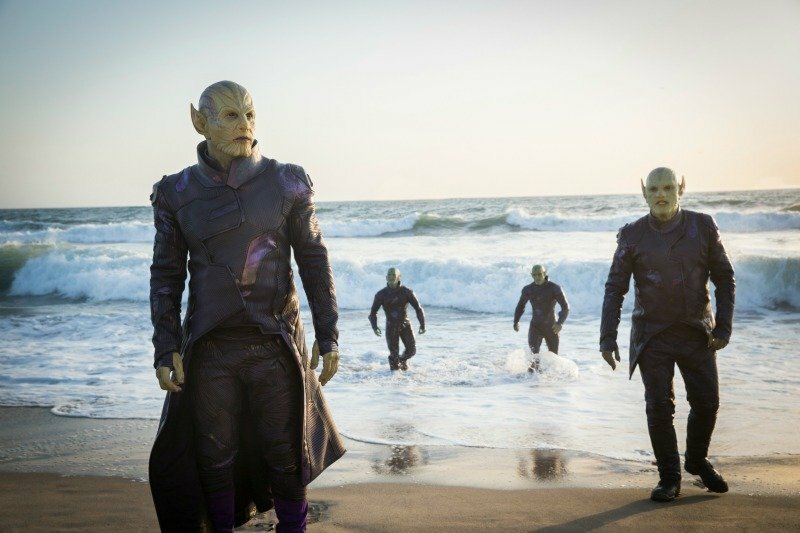 If you want to read up on the Skrulls, check out this post which explains a lot about them and their role in the Marvel universe. The basics are that the Skrulls and the Kree are in a never-ending feud, and they’re obsessed with earth. This is probably the main reason they’re enemies of Captain Marvel. We get a quick glimpse of Ronan, and then a quick look at Agent Coulson. YAY! The picture of her flying through the air Starlord style…epic! Finally, her powers! Woah! I can’t WAIT to see everything she can do. Plus, somehow we know this is going to lead to AVENGERS 4!!! So, random thought. I’m wondering if her “memories” or flashes are of the FUTURE. Maybe not, but it would be a twist! Check out my friends Tessa and Amanda on YouTube! They do a ton of movie trailer reaction videos! I didn’t know this trailer had dropped! Going to watch it ASAP. I am quite looking forward to it, actually. I love her costume and I think the setting is going to be interesting as it is so unique. I really love the sound of the cast as well. 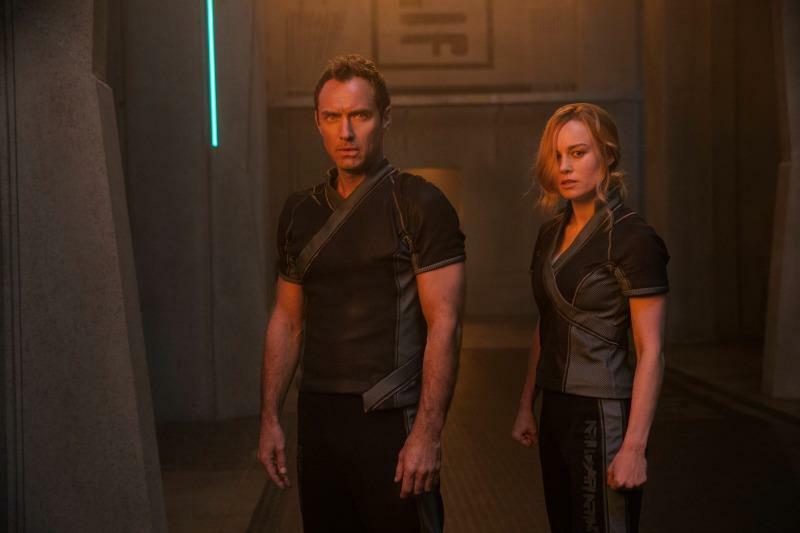 YES to Jude Law and a young Nick Fury!